In the recent past, MSMEs or Micro, Small & Medium Enterprises have encountered several hurdles at and post the advent of GST implementation and demonetization. The MSME is one of the important segments of the economy contributing to production, employment generation and exports. The production of the MSMEs forms a significant portion of the GDP composition. That being the reason, the RBI board has emphasized the need of studying the present state of MSMEs and the problems encountered by them. The government is also concerned with the issues pertaining to the MSMEs and would like to extend necessary assistance. In view of the feedback received from the industry in this regards, the Reserve Bank of India in its bi-monthly monetary policy statement dated 5th December 2018 declared that the RBI would be forming a committee to study the structural bottlenecks of MSMEs and the factors affecting the performance of the MSMEs. The committee is expected to study the issues of the MSME sector and submit its report by the end of June 2019. Once the committee undertakes the comprehensive review of the MSME sector it would identify the problems faced by them and would also suggest long term solutions to overcome the obstacles. Based on the solutions proposed by the committee Reserve Bank of India and Government of India will come up with relief measures to assist the MSME units. Mr. Magdum has 37 years of experience in banking, law, finance and psychology. 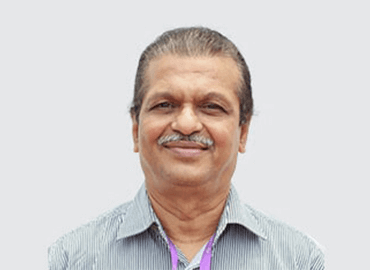 He was a member of the board of administration at Maharashtra State Co-operative bank, Mumbai during 2015-17.